GREAT FOR COLLECTORS: Display anything from art pieces to collectables – customizable ledges allow you to continue as your collection grows. 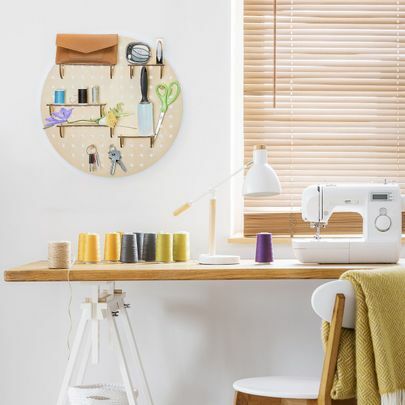 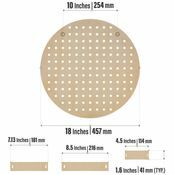 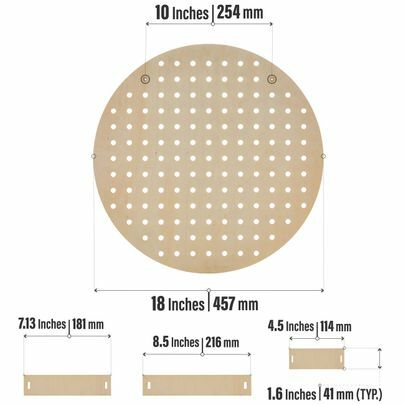 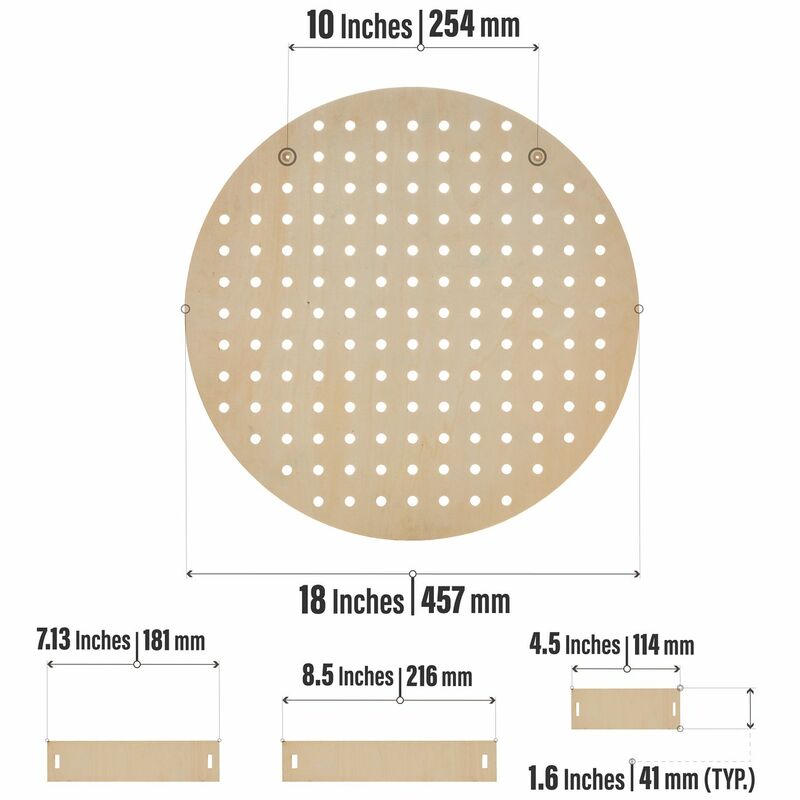 The Prosumer's Choice Circular Wooden Pegboard is for craftsmen, artists and decorators who prefer a practical, rustic-style display which gives a unique way to keep entryways and other rooms organized and attractive. 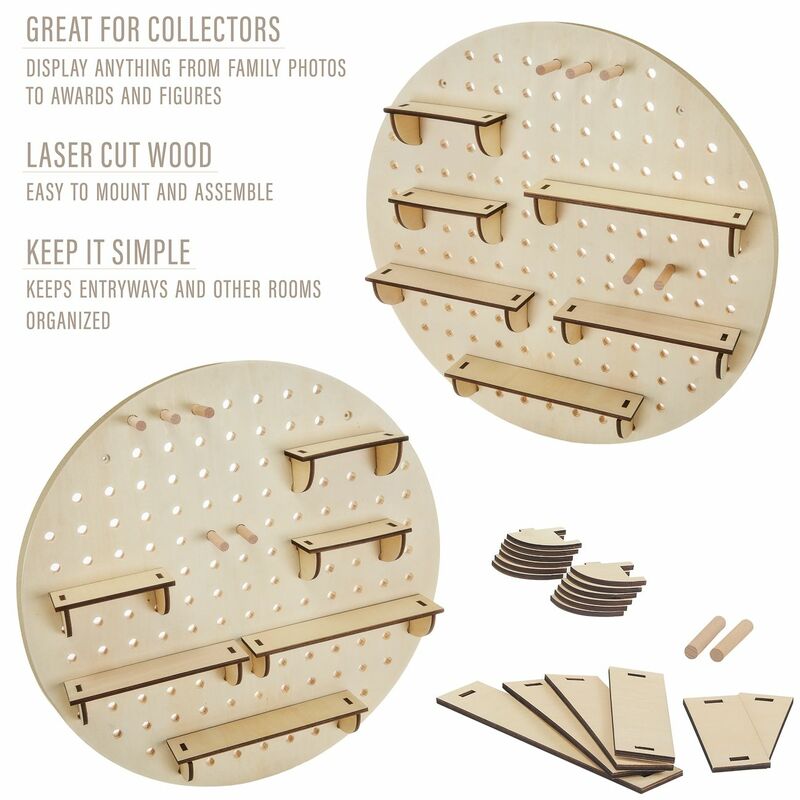 With a removeable shelf-and-peg system, you can hold those small but easily lost items, such as keychains, sunglasses and ID badges or display family photos and knickknacks, organize craft supplies, and so much more. Although many customers use their display for entryways, it can be placed anywhere in the house such as kitchens to hold your favorite spices or a child’s bedroom to exhibit treasured baseball cards, rocks and other prized collections. 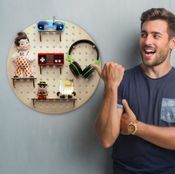 For the den or living room, the display’s layout can be customized to showcase vinyl figurines or other small collectibles, while also acting as an inviting accent for artisan pieces. This pegboard can also double as a retail display to model products for sale in a shop or restaurant. For the singer or songwriter, CDs can be displayed in an assortment of configurations, while necklaces and pendants can be arranged by both the peg inserts and included shelving. 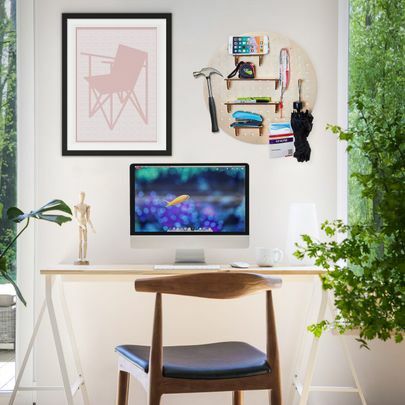 This wall display is your canvass to paint and there are endless possibilities for you to choose from. 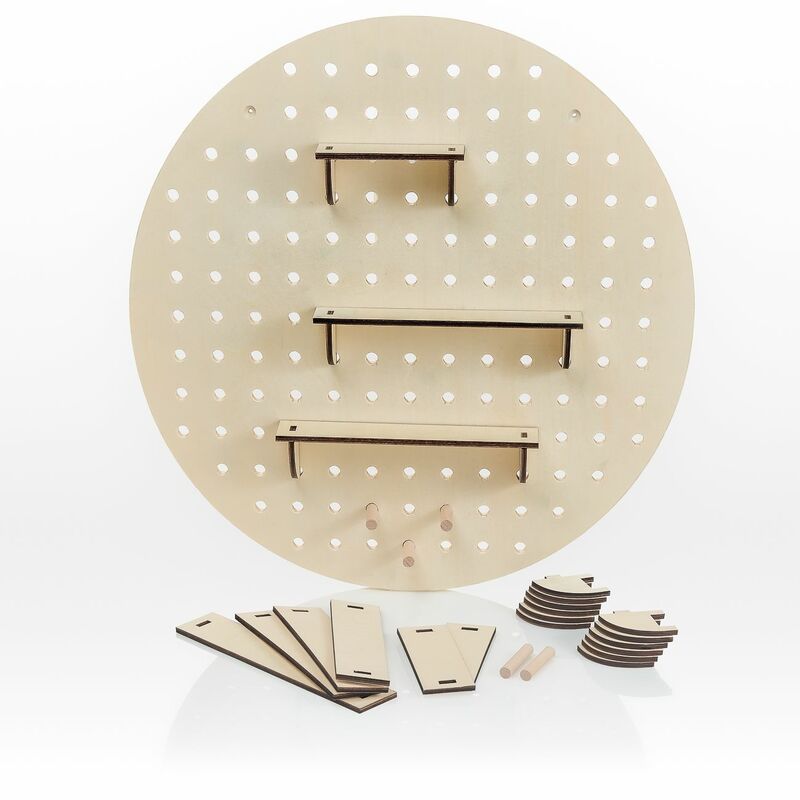 Each set includes three different lengths of ledges and insert support brackets which are used to tailor your original design. Five peg inserts are also included for hanging whatever your heart desires; such as keys, lanyards and umbrellas. Imagine hanging that soccer or swimming medal for everyone to see. The circular laser-cut wood design means pieces fit with precision. Your organizer is easy to install with the included screws and corner mounting holes.